Create shape and style for your trees while taking care of them too. Not sure what to do? 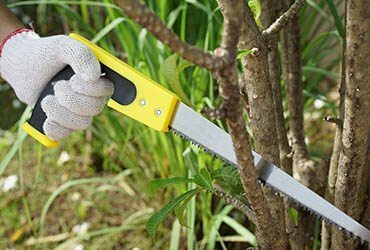 Our experts can tell you how to best trim or top your type of trees for the best results. Storms can cause problems for more than just your trees. When you have quite a bit of debris, including branches from trees, down on your property, give us a call to receive speedy service and repairs. For larger items, such as fallen trees, branches that have blown around or even accumulated leaves and debris in your parking lot, let us clear and haul it for you. We do the heavy lifting, so you don’t have to.